Lydia Whittaker is an aspiring volcanologist and B.Sc. Geology student at The University of Manchester. 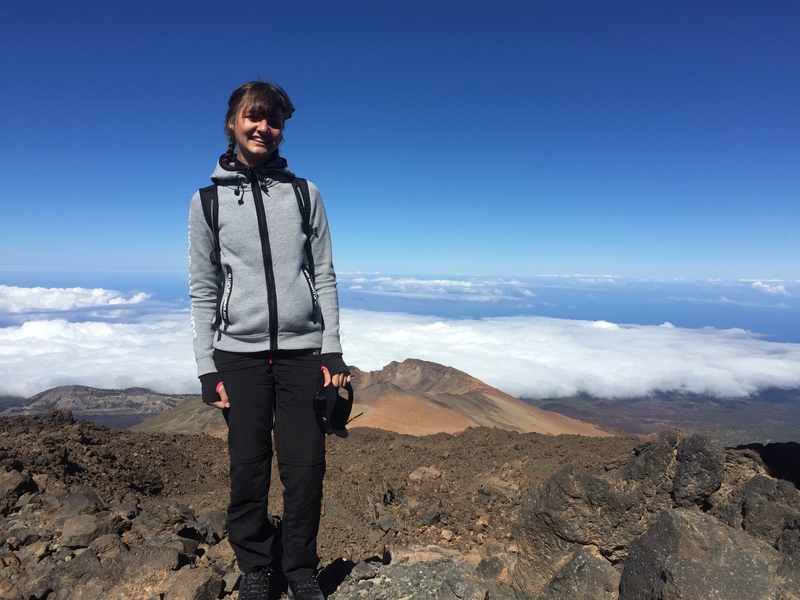 She writes about her experience as a GeoIntern, working on CO2 degassing in El Hierro and Teide for GeoTenerife. Being a scientist is more than that. Being a scientist is tough, and just because you did a module on volcanoes in university doesn’t mean you’re now a volcanologist.This title should only be given to someone who has faced some of the extreme conditions that may be experienced in the field and come out the other side just as enthusiastic. 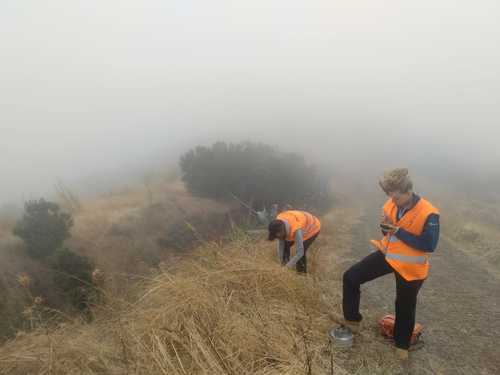 Preparing for a place on GeoIntern, a summer programme run by GeoTenerife in association with Invocan in the Canary Islands, you’re given a specification of professional skills you will be learning such as measuring gases and data processing, but this is only half the story. Every second of time spent is invaluable. 1. How to write numbers on vials in a moving vehicle on a bumpy road. 2. The ability to sit on any rock no matter how sharp. 3. Never sit down at the summit if you want to keep your trousers. 4. Communication involving a language barrier can be harder than the rocks. From the scientists you meet to the friends you make, it is a once in a lifetime opportunity to discover yourself as a young scientist. I spent two weeks in El Hierro, the youngest and most remote of the seven Canary Islands and had never experienced such a range of temperatures in one day. This was one of the most challenging aspects of fieldwork. Working in temperatures ranging from 11 to 36°C in one day. What do you wear? Living on the smallest Canary Island with a population of only 10,000 people was also isolating. However, it was an opportunity to experience a completely different culture. The food and wine are exquisite, and the relaxed atmosphere is something I will miss. Working on the summit of Teide volcano posed different challenges. Altitude and terrain. Even if you know you’ll struggle with the lack of oxygen before you make the climb, you don’t really know how it will affect you until you’re up there. Climbing stairs that are no different to those in your home suddenly becomes exhausting, even sickening. And sample sites aren’t all going to be on a flat path either. Walking down loose crumbling rock on a 60 -70° slope is hard. Moreover, science in any domain is a repetitive profession. I’m sure in academia they limit the extent to ensure people maintain an interest in classes. In the real world there’s no escaping it. They needed 601 sites visiting in El Hierro, so I visited 601 sites and I did it with a smile on my face. Despite it being so repetitive, the views, terrains, and ecosystems you experience are incredible. Being a young scientist is completely repetitive and tough work alongside extraordinary scientists, in the hope that one day that could be you, having a great time finding out everything possible about something you could never know enough about. Additional high-resolution images available on request. Lydia Whittaker is available for interviews. 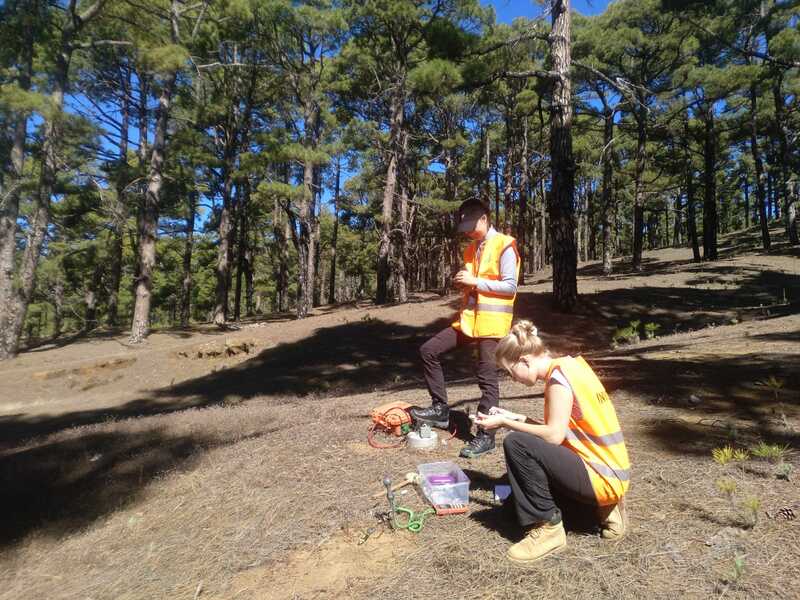 GeoTenerife is a UK company with a fully-owned subsidiary in the Canary Islands that organises tailor-made field trips and courses for universities, schools and colleges. 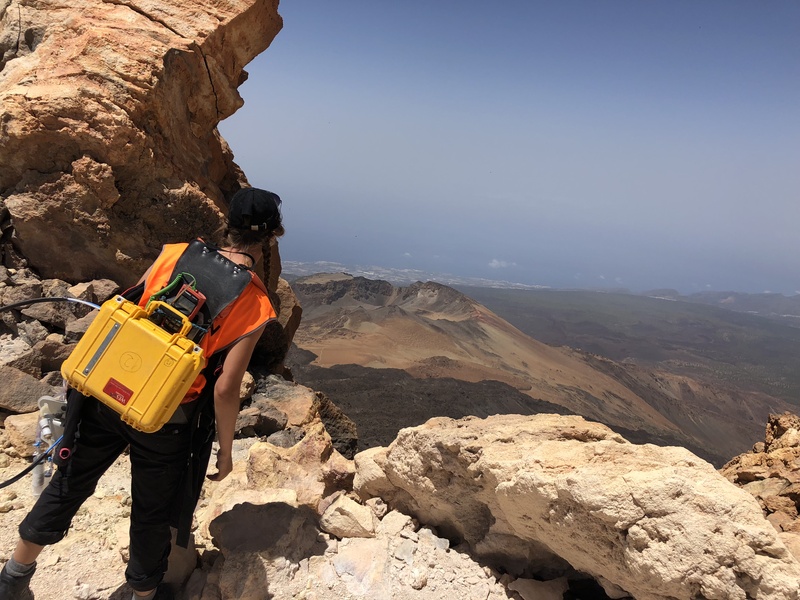 GeoIntern (https://twitter.com/geointern?lang=en ) is a summer programme run by GeoTenerife in association with the Canary Island Volcanology Institute. GeoTenerife (https://twitter.com/GeoTenerife) is committed to developing sustainable tourism, and works closely with local experts, institutions and facilities. This press release was distributed by ResponseSource Press Release Wire on behalf of GeoTenerife in the following categories: Men's Interest, Leisure & Hobbies, Women's Interest & Beauty, Environment & Nature, Sport, Travel, Education & Human Resources, for more information visit https://pressreleasewire.responsesource.com/about.